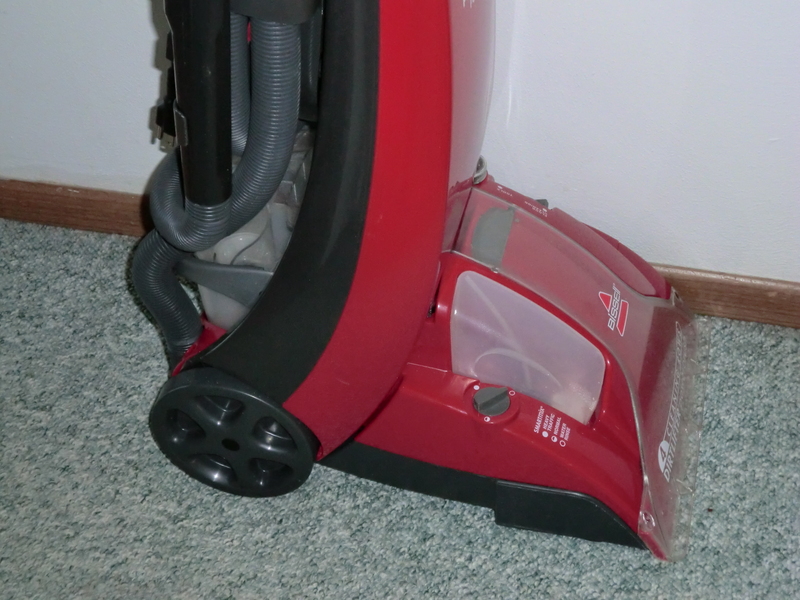 My hero, Mary Hunt, Debt-Proof Living, posted about how much she loved her carpet steam cleaner. She loved it because she could clean her carpets with just hot water! She explained that shampoo residue attracts dirt. I looked around my house and thought, “That explains a lot!” I was frequently cleaning the high traffic areas with Resolve. They just didn’t stay clean. …HOT WATER KILLS DUST MITES!!!! Spray area with the pre-treating chemical. Sprinkle with dust mite killing powder. Scrub chemical deep into the carpet on hands and knees with a brush. I had to save for six months to buy my Power Steamer, but it was worth it. I cleaned all the carpets and area rugs with just hot water. It amazed me when it cleaned an oil stain. I worked on that stain so many times I am sure it will take several more times before I remove all the detergent residue out of the carpet. It also revealed the source of some mystery stains. After cleaning with water, I realized it is gum stuck in the carpet. Now I know how to attack that stain. But my greatest joy comes from knowing I will never again get on my hands and knees to kill the dust mites. Those “dust-mite killing” chemicals were not cheap! This entry was posted in Health, Maintain It, Money Saving Ideas, Purchasing and tagged Health, Maintain It, Money Saving Ideas, Purchasing by Frugal Fish. Bookmark the permalink.